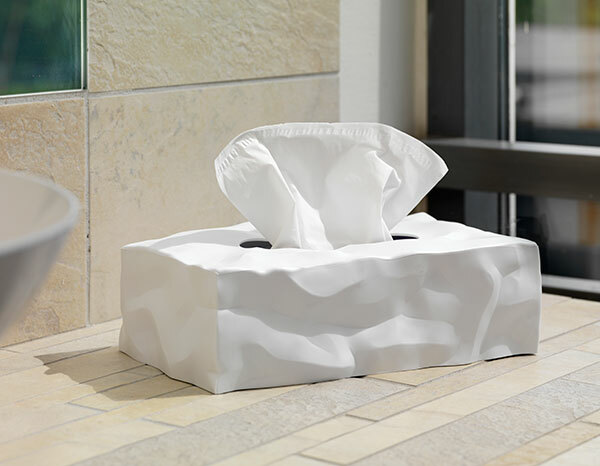 Award winning Danish design brand Essey has launched Wipy II, the perfect cover for rectangular tissue boxes. A few years ago Essey launched Wipy, a cover for cube sized tissue boxes; now the range has been extended with a rectangular model. Wipy II has the same crumpled surface as the original Wipy, visually communicating its purpose; a stylish accessory for any room, and perfect for the bathroom or dressing table. 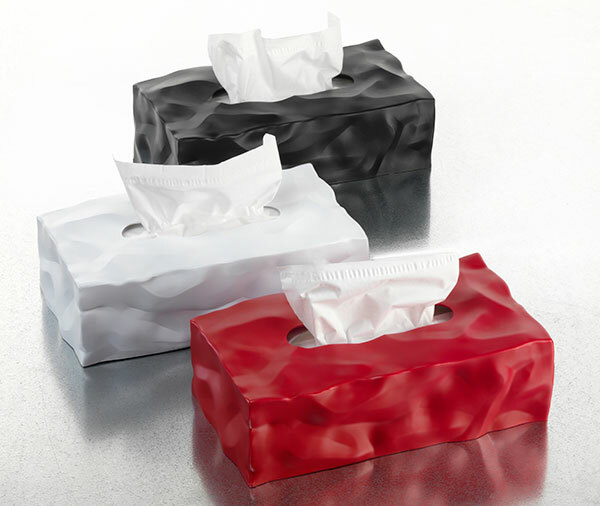 Designed to fit most rectangular tissue boxes Wipy II is manufactured in Finland from thermoplastic elastomer (TPE), a washable material heavy enough to allow tissues to be pulled out of the box with one hand. Wipy II comes in two sizes with slightly different heights depending on the international market. Available in the three colours: White, Black and Red, Wipy II is sold in museums and leading design shops in most countries, as well as online stores and cost around €25. About Essey: Essey is a design brand started by Danish designer John Brauer in 2003 to create interior design products that communicate their own identity. The Essey brand stands for true identities: you should always dare to show who you are. Essey products are currently sold in 32 countries around the world. How the Illusion table by Essey is produced?